Named a “top therapist” by mental health professionals in the DC area, in a poll conducted by Washingtonian Magazine in 2009. Voted as a “favorite therapist” by readers of Washington Parent magazine in 2012. Upon graduation from Brown University, Jonah taught Special Education before attaining a Master’s Degree in Clinical Social Work from Boston University. He has since gained graduate certificates in Advanced Clinical Practice, Play Therapy, and Family Therapy. Mr. Green has practiced clinical work in several inpatient and outpatient settings, and has served as a Clinical Director for YMCA Silver Spring Youth Services, Hearts and Homes for Youth in Silver Spring, MD, CPC Health in Rockville, MD, and Affiliated Sante Group in Silver Spring, MD. 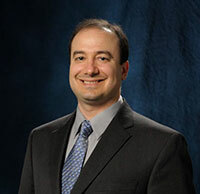 He has over 20 years of clinical experience and has been in private practice for fifteen years. Jonah formed Jonah Green and Associates in 2008 with the aim of expanding access to high-quality family-centered services for children, adolescents, and adults. Mr. Green provides therapy in individual, family, and group formats. He also provides parental consultation as well as couples therapy. Mr. Green has expertise in several areas, including developmental delay and disability, behavioral and mood disorders, divorce and separation, and stepfamily dynamics. Trained in psychodynamic, cognitive-behavioral, and systemic approaches to therapy, Mr. Green tailors his interventions to the needs of his clients. Depending on the presenting problems, he may consult with parents to improve their children’s behavior, work with couples to improve their communication, perform individual therapy for individuals struggling with emotional or behavioral difficulties, or conduct family therapy to assist families dealing with loss or transition. Mr. Green is committed to involving the family in the therapeutic process in his work with children and adolescents. Mr. Green conducts trainings for therapists in several areas, including: working effectively with stepfamilies, family therapy and autism, integrating play into family therapy, and divorce therapy. Mr. Green leads a monthly Family Therapy Study Group for clinicians in the Greater Washington area, and moderates an Egroup for clinicians called FamilytherapistsDC. Jonah consults with several agencies in the Greater Washington, DC area, including: Community Services for Autistic Adults and Children, Community Support Services, Potomac Community Resources, Jubilee Association of Maryland, and the Department of Health and Human Services in Montgomery County. Mr. Green has written articles for clinical publications on several topics, including: family therapy training, family-centered approaches to treating autism, teens and therapy, therapy with Latino immigrants, therapy with divorcing families, therapy with affluent families, helping individuals with disabilities transition to adulthood, and addressing the emotional needs of children who receive special education services. Click here to read Published Articles/Blog Postings/Presentations by Mr. Green. Mr. Green speaks fluent Spanish. He has conducted therapy in Spanish throughout his career, and has spent significant time in several Latin American countries.